Written by Kaylie Weideman. Media by Momoka Murata. Matt Bernico is an Assistant professor of Communication and Media Studies at Greenville University and has been since 2016. 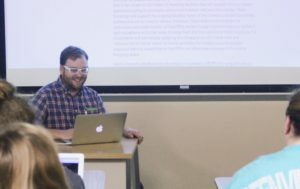 He teaches multiple classes, including Intro to Communications; Media Communications; Literary, Visual, and Media Theory; Public Relations; Producing Digital Narratives; and Gender Studies in Media Communication. He resides here in Greenville with his wife, Shannon (the campus counselor at GU) and their 2-year-old son Louis, who loves the movie, Trolls. 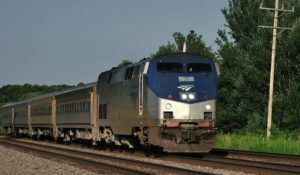 Bernico grew up in Ottawa, IL, which is southwest of Chicago. Bernico came to GU, GC at the time, as a student and graduated in 2010 with a Bachelor of Arts in Philosophy. During this time, he worked in the IT Department. 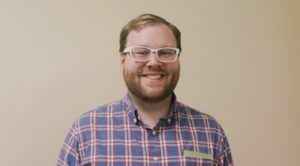 Bernico also received his Master of Arts degree in Political Philosophy and Cultural Theory from the University of Illinois Springfield and a Ph. D. in Media and Communication from European Graduate School. Bernico’s favorite place on campus is the Maves Art Center, which is three blocks west of campus. It is two floors full of creative energy and he “…likes the feeling of artwork and that’s the place where art is created and presented.” Maves has an upper level, which includes an art gallery, drawing and painting studio, a fine arts classroom, a computer graphics room, and a student lounge. Maves’ lower level has welding facilities, a wood shop, and a ceramics studio. Bernico encourages students to go check this place out! 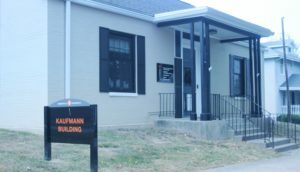 Kaufmann Building, where his office is located. Bernico is a really cool dude! His office is located in the Kauffman building, so if you’re interested, go find him and get to know him! Matt is a cool guy! I’ve only spoken to him once but we talked for about an hour. He also does the Cinematic Conversations class where you watch movies & then talk about them. They also encourage students that aren’t even in the class to come & it’s totally free! They meet on Wednesday nights, if anybody reading this is interested.